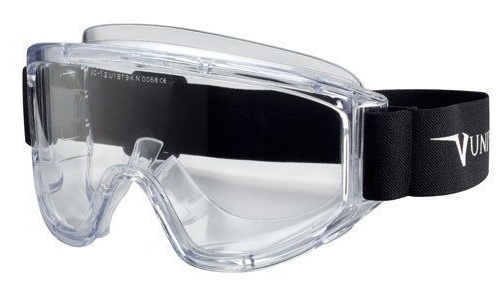 Univet 601 goggles. 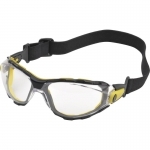 Unvented safety goggles (the highest protection level). 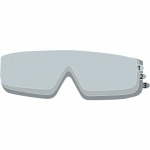 Extra wide clear impact resistant polycarbonate lens. Wide elastic band. Lens marking: 2C-1.2/5-1.1 U 1 BT 9 K N. Anti-scratch coating (AS). 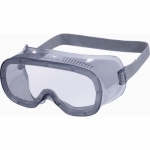 Anti-fog coating (AF).